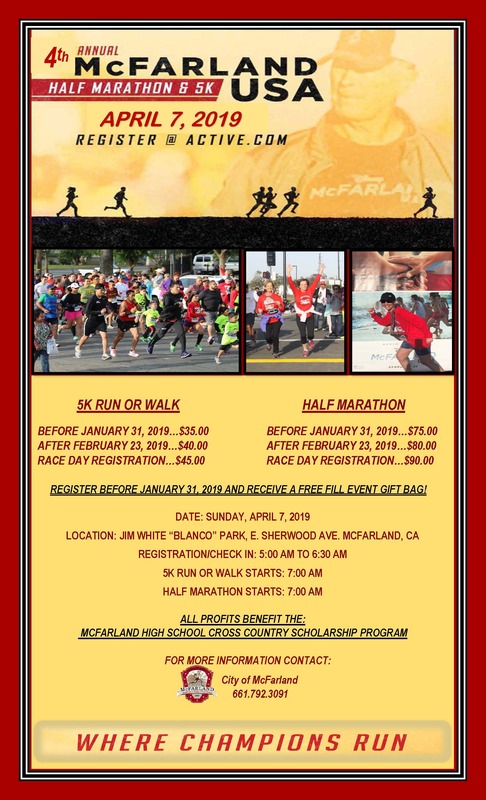 The 4th Annual McFarland USA Half Marathon & 5K will wind its way through city outskirts, grape fields, almond fields, flat surfaces and short up hills. Come and meet legendary Coach White and while your there take a movie tour where you will have a chance to see different sceneries from the movie. Enjoy the food or take a tour of the city and visit all the movie sights! Merchandise will be for sale!